Fire Suppression - Hood Cleaning Inc. Hood Cleaning inc. offers installation, inspection and maintenance of fire suppression systems for commercial and industrial use. Fire suppression systems for commercial kitchen equipment, broilers, fryers, ovens, etc. with high temperatures, fuels and oils are essential. 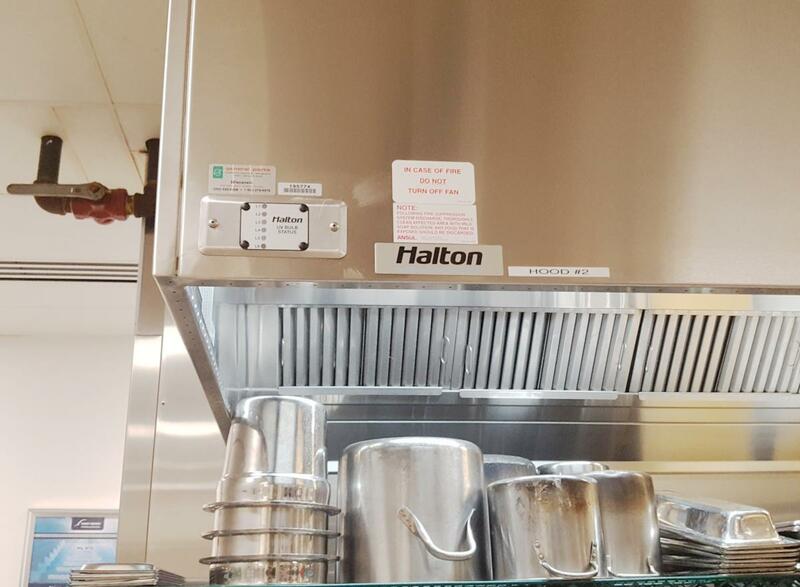 A fire suppression system provides fire protection of your exhaust hood and ducts as well as your cooking appliances. Whether you are in need of a new system, an upgrade or replacing an existing fire suppression system we can help you determine what type of system is best for your business needs. Contact us today for a quote on a custom fire protection and suppression system for your restaurant application. The right system and proper maintenance are critical to safety and protecting your investment. Inspection of your fire suppression systems is essential to ensure it is working properly in case of fire. We provide service and regular maintenance on your existing fire protection and suppression systems. Call us at 262-798-0444 for pricing to determine which system is right for your application or visit the Amerex Website for product details! You can also use our contact form to learn more about how we can help you with your new fire suppression system installation or to schedule an inspection.